What and absolutely wonderful home to spend your next trip to the Lake! This new construction home has the perfect downstairs living plan with large living area and beautiful kitchen with granite countertops. Outside on the deck you will find the hot tub in the fenced in back yard. Upstairs are all of the bedrooms including the master suite with private bath and jacuzzi bath tub. There is also a family room with a private deck that includes a pool table and seating area. After all of this you will be only 1 mile from all that Lake Tahoe has to offer. 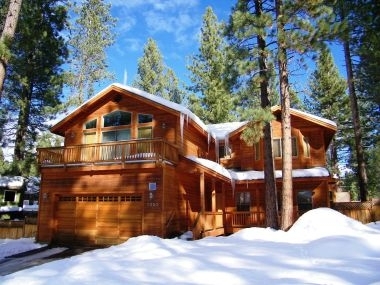 Just minutes to Heavenly Ski Resort, casinos, and beaches! Anytime of year this is the home for you!